During my recent trip to the grocery store, I took a little stroll down the aisle where they have all of the seasonal items and decor. Seeing all of the bright and beautiful pastel colors made me instantly switch gears from winter to spring, and I even brought home a few little treats for my girls to enjoy before they get their annual baskets filled with candies and toys. 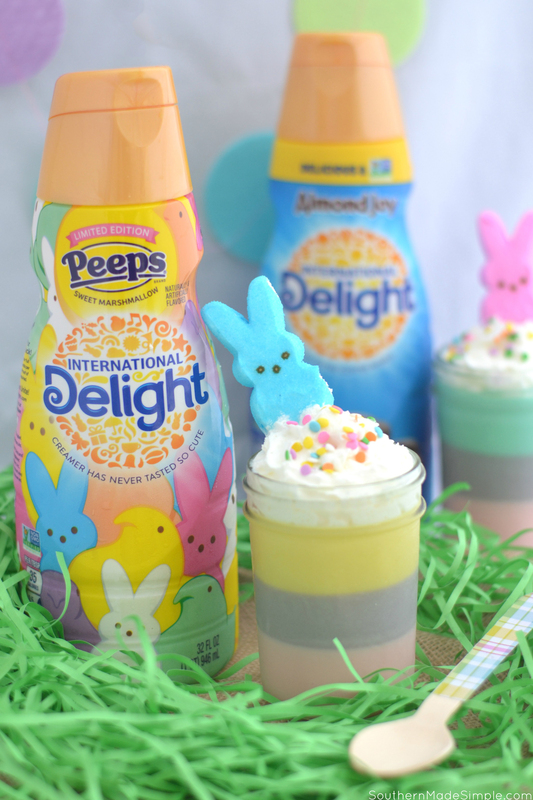 During my shopping trip, I spotted a little something special for myself, too, and I’ve been indulging just a little in all of the sweetness of the season with my latest obsession: International Delight® PEEPS® Sweet Marshmallow Coffee Creamer. 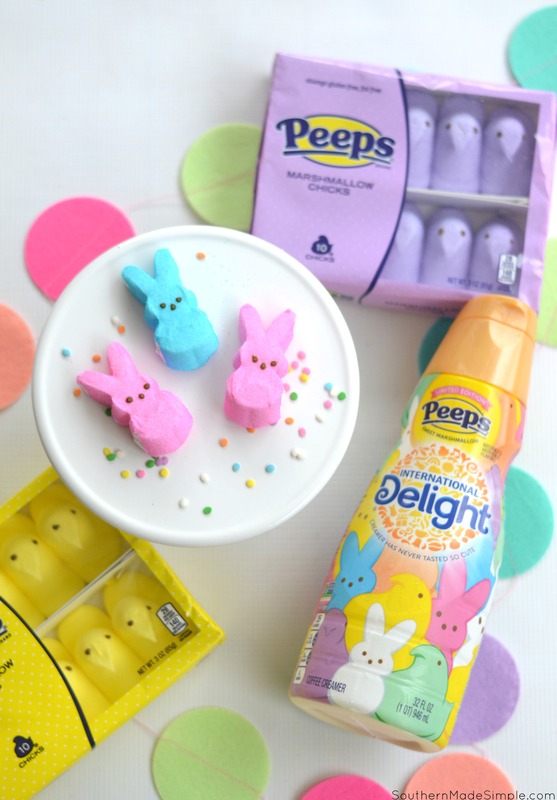 Interested in trying out the International Delight® PEEPS® Sweet Marshmallow Coffee Creamer? Hover over the photo to click through and purchase it at Walmart. PEEPS® marshmallows have always had a special place in my heart during the spring season. I’ve been enjoying them each year for as long as I can remember, and I love watching my little girl enjoy them as well. 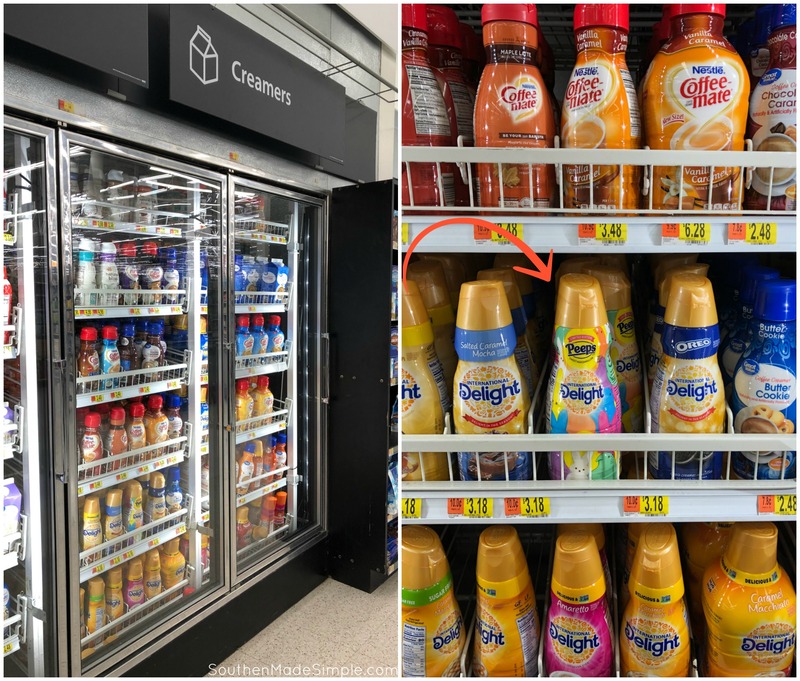 When I saw the brightly colored bottle of International Delight® PEEPS® Sweet Marshmallow Coffee Creamer in the refrigerated case at Walmart, it was an instant grab for me. My morning coffee time is a set apart time in my day that I really cherish, and adding the sweetness of PEEPS® brings a new element of happiness into my day! Coffee creamer is really such a versatile ingredient to have on hand. Over the years I’ve made so many lovely little desserts using my beloved International Delight® Coffee Creamers (International Delight® Almond Joy Coffee Creamer is another one of my personal faves.) As I sipped on my coffee one morning before beginning my work for the day, I started brainstorming a way to incorporate this new flavor into a dessert that would be perfect for kicking off the spring season. I wanted to capture the iconic goodness of the PEEPS® in a really fun way, thus the idea for PEEPS® Marshmallow Mousse was born! Because my recipe for marshmallow mousse doesn’t have any egg in it, it takes on a slightly more dense texture than traditional mousse. While mousse tends to be light an airy, this marshmallow mousse reminds me a little more of the texture of marshmallow fluff, which is perfect for dipping things like fresh fruit in, stirring a spoonful into your hot chocolate or coffee on those brisk spring mornings. Making the mousse is really as simple as just melting the marshmallow PEEPS®! Before melting over low in a pot or deep skillet, I prefer to remove the candy eyes on the marshmallows. As the marshmallows begin to melt, I add in a smidge of International Delight® PEEPS® Sweet Marshmallow Coffee Creamer to give it an extra layer of goodness. The yogurt is added in to help cut that sweetness just a tad, and to help give it a bit of a creamier texture. Here’s a free printable copy of the recipe if you’d like to give it a try! Serve with whipped topping, fresh fruit, or however you like! 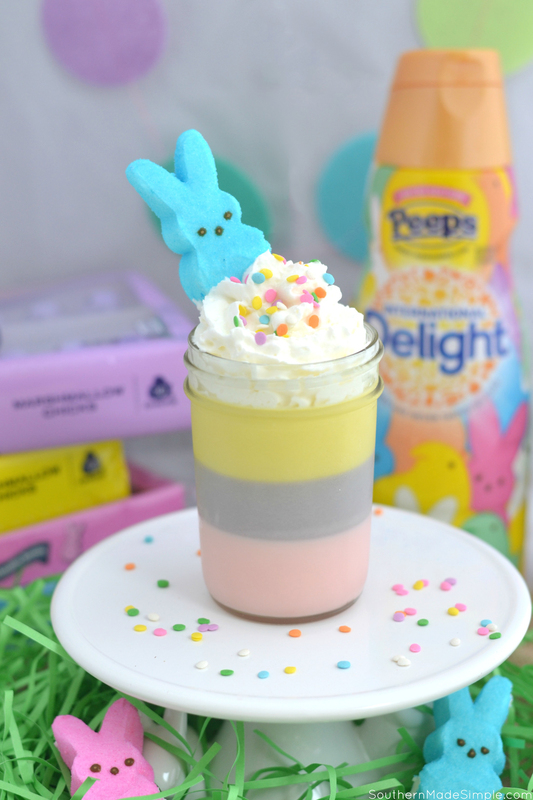 I picked up several packages of PEEPS® to use in this recipe so that I could layer all of the colors in a really fun way. 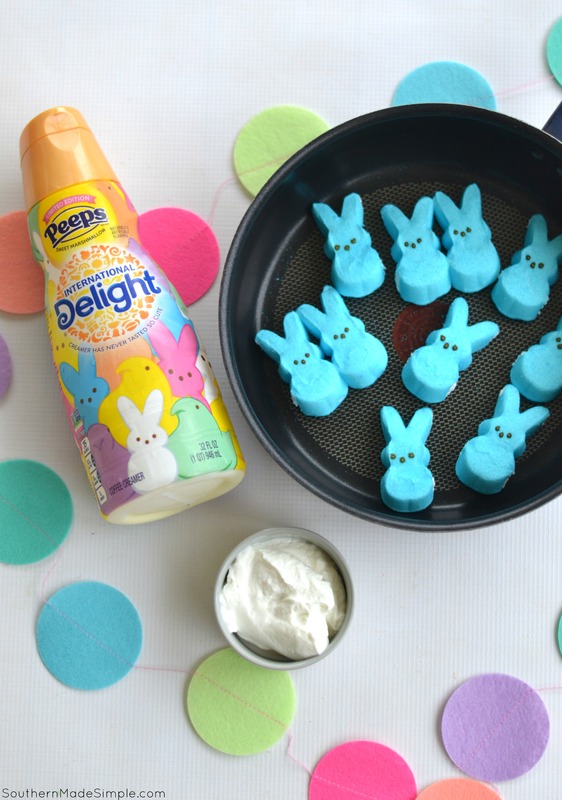 Once the mousse was set, I topped with a little whipped cream, some festive spring sprinkles and topped with a PEEP®! 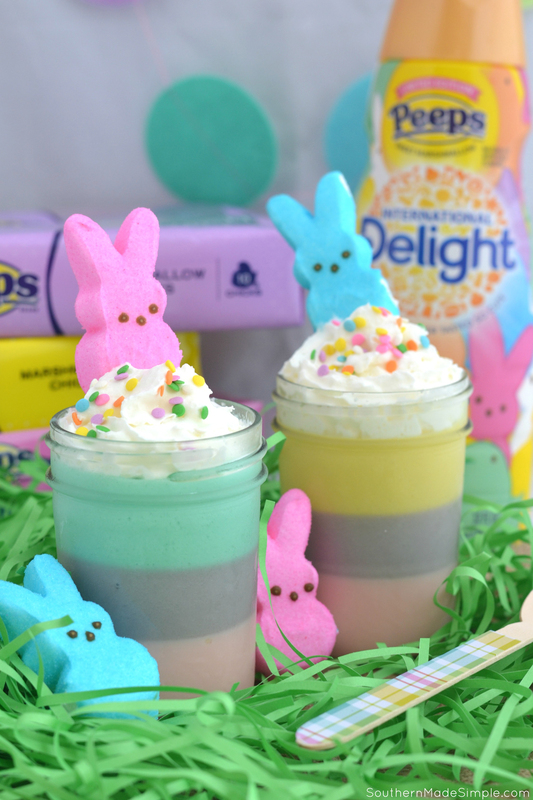 This dessert is something that adults and children alike can enjoy as we step into the spring season, and it’s certainly a fun way to use PEEPS® in a whole new way! Are you ready for the winter weather to move on and spring to arrive? What are your favorite things about the spring season? Do you love those iconic PEEPS® as much as I do? Next time you’re at Walmart, swing by the refrigerated section and pick up a bottle of International Delight® PEEPS® Sweet Marshmallow Coffee Creamer to add to your morning coffee or to bake with. It’ll definitely put a little pep in your step and get you ready for the newness of spring!